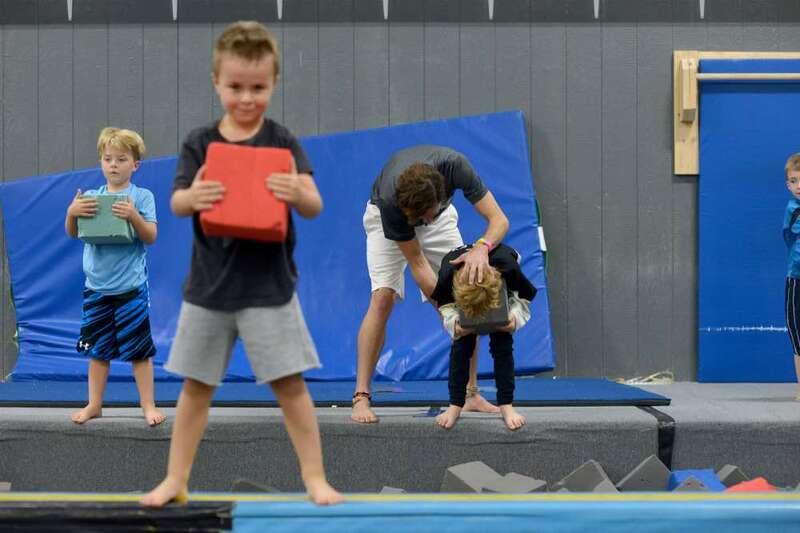 Boys Beginner Classes: Ages 5 ½ – 7 – Students ages 5 ½-7 who are new to gymnastics should enroll in a Boys Beginner class. Boys Advanced Beginner Classes Ages 6 & up – Boys ages 8 & up should enroll in Boys Advanced Beginner, even if they are new to gymnastics. (6 & up) Once the Beginner Program has been completed Boys move to the Intermediate Program. In the Intermediate Program there are two skill levels to master. Each level comes with an achievement ribbon. The gymnast will work on more difficult skills and combinations using all of the equipment as well as continued development on flexibility and strength and power. Boys that were in our Boys 2 last year should sign up for either Advanced Beginner or the Intermediate classes.